The Bard's Tale 1 is the first chapter of a popular first person RPG series by Interplay. You control a group of six adventurers with the task of defeating the evil wizard Mangar the Dark. You will fight monters, explore the city of Skara Brae, solve riddles and guide your party into earning levels, gold and glory. Save your party under a completely different name each time. Delete the previous party name. When you restart the game, it should have saved. Loved this game when it came out! I am experiencing an issue however. The game loads, runs and plays fine but im having an issue with my saved party. When I return to the game and add character/party all items and gold are missing from all 6 characters. Thanks for the wonderful review Lord Bucket! Abandonware DOS needs those. 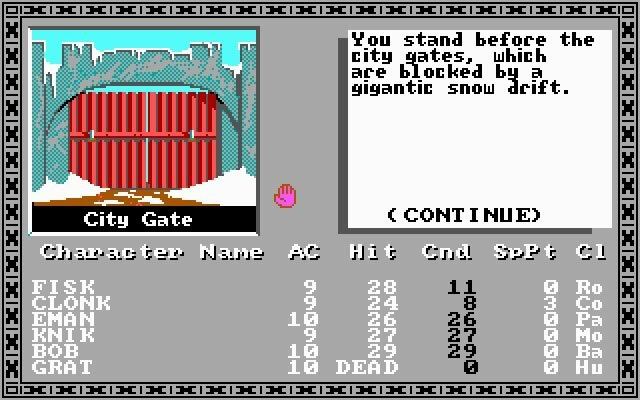 Bard's Tale 1 was a "pretty good but kind of flawed" game. 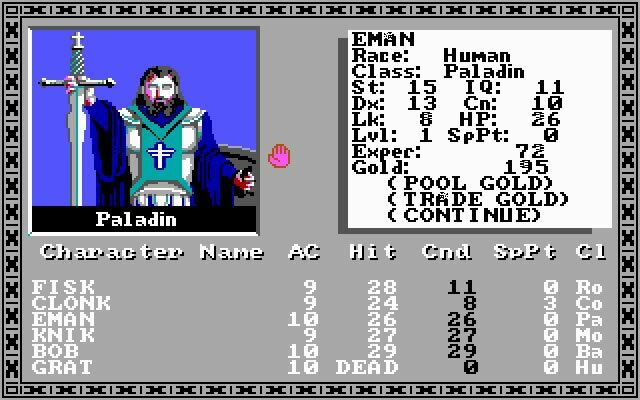 If you want a classic first person dungeon crawler, it was among the best. Several dungeons, a town with night and day, a couple interesting puzzles and a four-school magic system that allowed you to progress through various classes to learn all the different spells. But the game has a few flaws. The early game is hard. You will die. A lot. Expect that the first set of characters you create will serve only to collect gold and gear and then die, so that their stuff can be passed on to your next party. Fortunately you can keep dead characters and later ressurect them, but by the time you're able to, your replacement party will probably be so much better that there's no point. 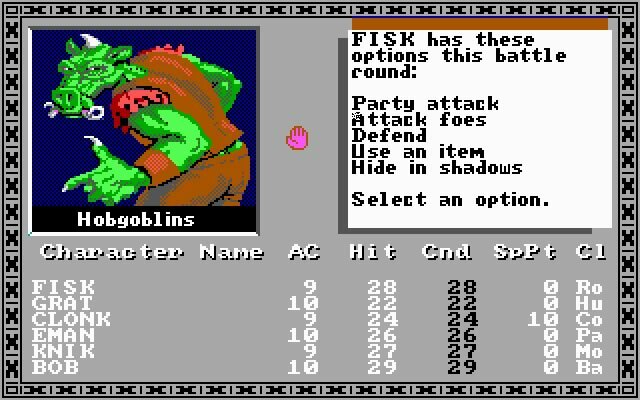 You might have to do this a couple times, transferring the stray survivors from party to party to slowly build up to the point that you can keep a party alive into the middle part of the game. Next problem, the first entire dungeon is completely horribly difficult and drops terrible gear. Unless you're willing to spend days or weeks doing that above routine of letting people die and passing on their stuff...save yourself a bunch of headache by skipping to the second dungeon to get decent gear drops. The password is Tarjan. At that point, the game is good and fun for a long time. And then it kind of fails again towards the end, when you start fighting monsters in with insta-kill abilities. No matter how high level you are, no matter how many hit points you have and how much armor...oh, you fight THAT monster? You die, period. Fortunately you can ressurect in battle, so it's not a complete deal breaker, but it is frustrating. Also, be aware that late game monsters have a permanent level drain abvility. However...it's not as bad as it sounds, since you keep your hit pints and spell points when level-drained, so in some case you might actually choose to delberately have your characters drained so they can re-gain those those and become even stronger. If you like the genre, again, this is one of the best. Just be aware that it does have some strong flaws. 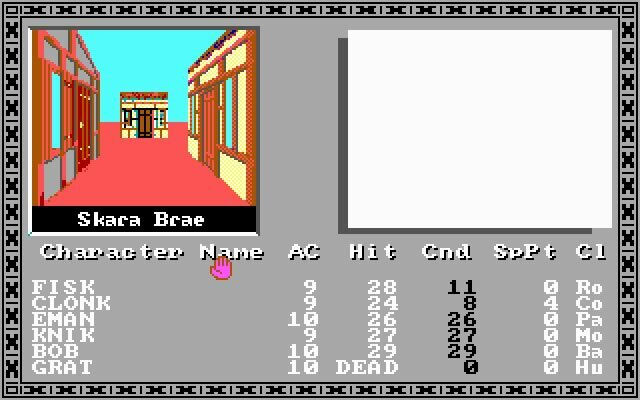 Also, this was by far the best of the Bard's Tale series. Don't waste your time with the others, this was the best of them. 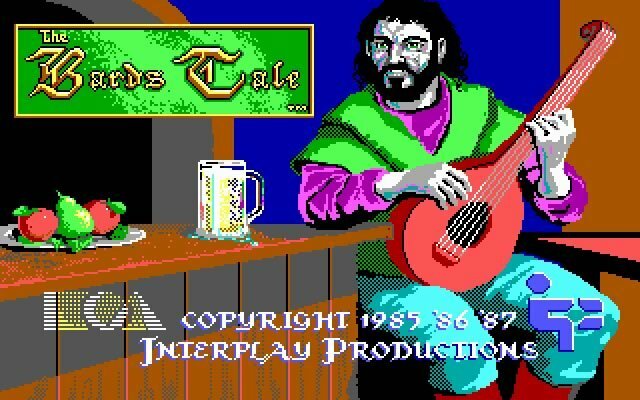 Tell others what you think about The Bard's Tale: did you play it? Did you like it or hate it? 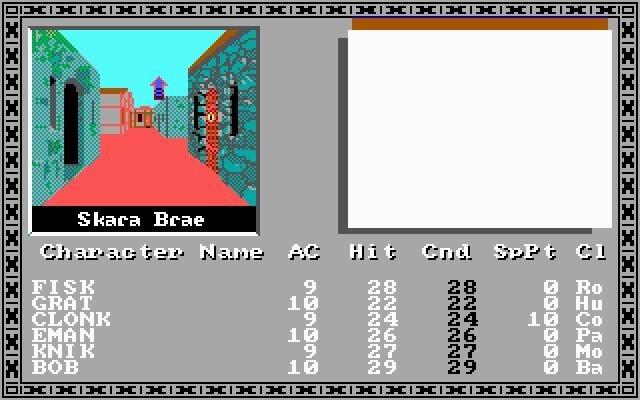 If you have problems running The Bard's Tale, please read the F.A.Q. first. Your e-mail will NEVER be used for spam. A series of novels based on The Bard's Tale were published by Baen Books during the 1990s. 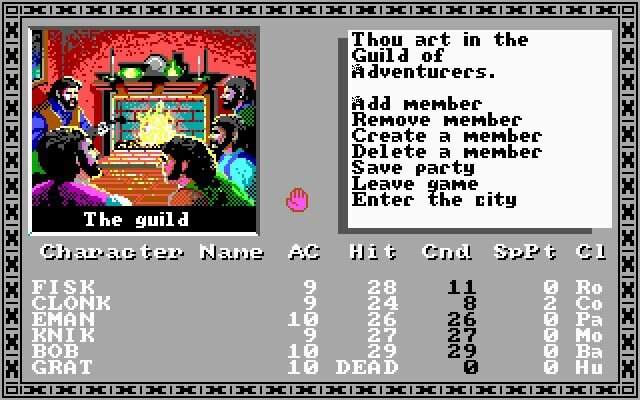 Although the books had little in common with the storyline of the games, their existence is a testament to how influential the Bard's Tale brand had become.